The United States Department of State's Office of the Special Envoy for Holocaust Issues develops and implements U.S. policy with respect to the return of Holocaust-era assets to their rightful owners, compensation for wrongs committed during the Holocaust, and Holocaust remembrance. The Office does this in a manner that complements and supports broader U.S. interests and initiatives in a Europe committed to democracy, pluralism, human rights, and tolerance. The Office seeks to bring a measure of justice and assistance to Holocaust victims and their families and to create an infrastructure to assure that the Holocaust is remembered properly and accurately. This is an important issue in our bilateral relations with countries of central and eastern Europe and with the state of Israel. Nicholas Dean – the Special Envoy - represents the United States at the International Holocaust Remembrance Alliance. In the United States, state and local governments bear primary responsibility for education. The United States therefore does not have a mandated national curriculum that would compel Holocaust education in every school. Because local jurisdictions determine the bulk of educational content and method, extremely diverse educational practices emerge nationally, including those that affect teaching about the Holocaust. Nevertheless, it is now commonplace to have Holocaust education programs in both public and private schools. Every student in every state has the opportunity to learn about the Holocaust in some fashion. In the last decade Holocaust education, remembrance and research have grown significantly in the United States. In 2007, there were 185 organizations in the United States dealing with the subject; today 212 organizations are listed in the Association of Holocaust Organizations’ (AHO) Directory. Some of these organizations are national in scope and others are regional. Most, however, are local. Some of these local organizations are part of colleges and universities, some are part of Jewish communities, and some are independent. All are engaged in Holocaust education and remembrance; a few also engage in research. In addition, survivor and second generation organizations promote remembrance and research as well. Within the United States, there is no official definition of a Holocaust memorial. As a result, the hundreds, if not thousands, of memorials that commemorate the Holocaust are extremely diverse. They include memorial museums, memorial centers, plaques in public parks, cemeteries, and works of public art. The United States Holocaust Memorial Museum (USHMM) is the largest Holocaust memorial and museum in the country. An independent institution of the United States Government, it was chartered by a unanimous Act of Congress in 1980 that expressly designated it as the national institution for the documentation, study, and interpretation of Holocaust history. It also serves as this country’s national memorial to the millions of people murdered during the Holocaust. 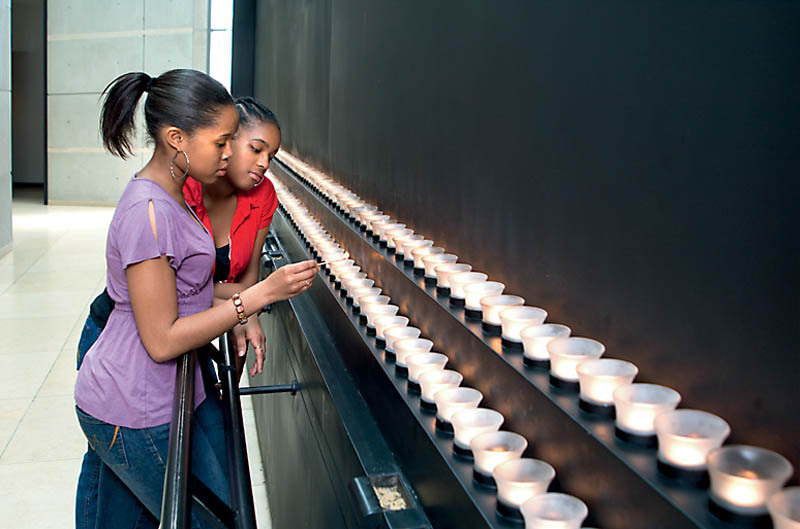 Other major institutions in the United States include the Simon Wiesenthal Center’s Museum of Tolerance, in Los Angeles, California; The University of Southern California’s Shoah Foundation, also located in Los Angeles; Facing History and Ourselves in Boston, Massachusetts; The Museum of Jewish Heritage in New York, The Holocaust Museum Houston, in Houston, Texas; the Illinois Holocaust Museum and Education Center in Skokie, Illinois and the hundreds of memorials and museums and centers across the United States. A full listing is available in the International Directory of Holocaust Organizations. The United States Congress established Days of Remembrance as the nation’s annual commemoration of the Holocaust. Observances and remembrance activities occur during the week of remembrance that runs from the Sunday before Holocaust Remembrance Day (Yom Hashoah) through the following Sunday. Accessibility to massive amounts of rich documentation of the Holocaust supports research across the United States at a variety of repositories, including the U.S. 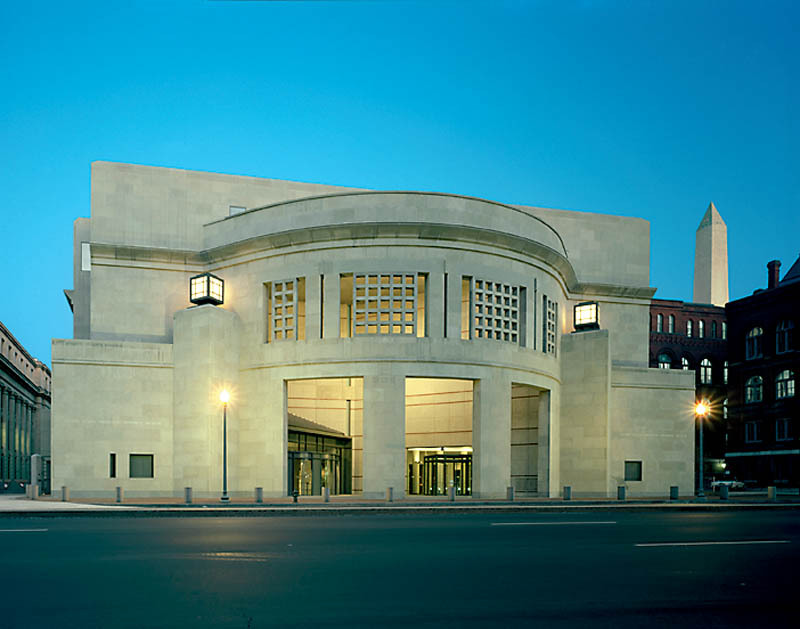 Holocaust Memorial Museum (USHMM), the USC Shoah Foundation, the National Archives and Records Administration, and hundreds of university and public libraries. Scholarship flourishes, too, thanks to university education and a variety of academic programs offered at more than 25 centers at American universities and museums. For instance, Clark University, through its Strassler Center for Holocaust and Genocide Studies, offers the world’s sole doctoral degree program specifically in this field. Established in 1996, the Strassler Center runs an undergraduate program taught by nineteen professors in nine departments, as well as the landmark PhD program that attracts doctoral students from many countries. Their dissertation projects advance key intellectual trends in Holocaust History and they examine the experiences of all actors throughout Europe and on other continents before, during, and after the Holocaust. Strassler Center PhD students now constitute a well-trained cadre of scholarly professionals who obtain employment at leading institutions that promote education and research about the Holocaust in the United States as well as in their home nations. The Center for Advanced Holocaust Studies of USHMM is internationally recognized as the most significant generator of new research on the Holocaust. Established in 1998, the Center has strengthened Holocaust studies by providing research and teaching resources, fellowship and programmatic opportunities, publications, and campus outreach to support the work of scholars in the multiple academic disciplines through which the Holocaust is studied and taught. In addition, in-house research projects, such as the Encyclopedia of Camps and Ghettos, 1933-1945, continue to provide new insights into the Holocaust. Seeking to maintain future generations of Holocaust scholars, the Center encourages the exploration of new topics, supports the intellectual development of new generations, disseminates the results of new research and educational approaches in national and international forums, and promotes the development of strategic partnerships. Their work to make new scholarly resources available such as the archives of the former Soviet Union and the International Tracing Service archive from Bad Arolsen has profoundly affected the type of scholarship in which American scholars are engaging. As well, University of Southern California’s Shoah Foundation connects its Visual History Archive to two dozen other American universities with research resources and tools for scholarship and teaching. The growth of testimony collection projects – which started very soon after the Holocaust, but gained increased currency over the past 3 decades – have profoundly affected Holocaust education, commemoration, scholarship, and teaching in the U.S. In particular, the collections created and made accessible by the Yale Fortunoff Archive, the USHMM, the Museum of Jewish Heritage, the USC Shoah Foundation, and many others across the country, have been used broadly by scholars across the disciplines to explore aspects of the genocide that had no other documentation, to understand the lived experience of the survivors targeted for murder, and to offer a history that emerges from the voices of the genocide’s intended victims rather than its designers.